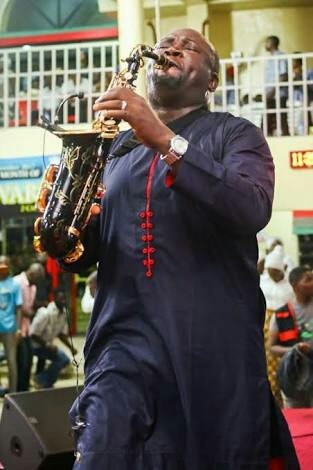 Dash Media Church Entertainment EVENT Ijebu-ode religion Segun Oluwayomi The Apostolic Church Saxophonist Segun Oluwayomi hits T.A.C Ijebu-ode HARD!!! International saxophonist Segun Oluwayomi stormed The Apostolic Church, Ijebu-ode Area with his powerful performance on April 9, 2018 to kick start the 7-days rivival which was set to end the 40-days Fasting and Prayer in the Area. 0 Comment to "Saxophonist Segun Oluwayomi hits T.A.C Ijebu-ode HARD!!!"